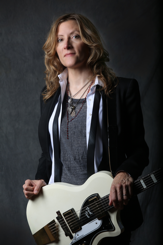 The New York Times says Michelle Malone is “the kind of singer and songwriter who can jolt things into overdrive.” She’s been on the scene for decades and she’s collaborated with artists like Steve Earle Malone, the late Gregg Allman, ZZ Top, and The Indigo Girls. She’s known for “explosive” live performances and she’s also released more than a dozen records. Slings and Arrows is her fifteenth album; it reflects her the state of current events and her relationships. Her press release reads:”On this disc she wears vulnerability on her sleeve by battling hardships and situations she’s encountered. and the way she’s learned how to cope, handle and overcome by self-acceptance.” The Iron Horse, 20 Center St., Northampton.